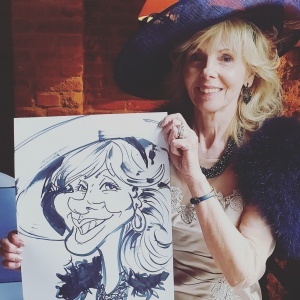 Hola, Hello and thank you for stopping by my latest caricatures wedding entertainment update. 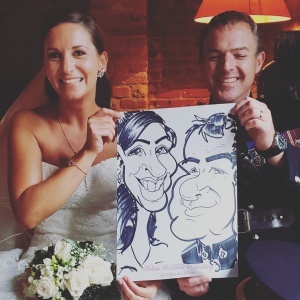 This time it is for the Wedding of Melissa and Dave. 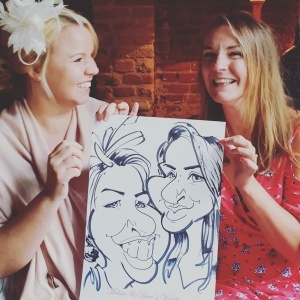 This Caricature Wedding Entertainment booking was based at Holme Pierrepont Hall in Nottingham. 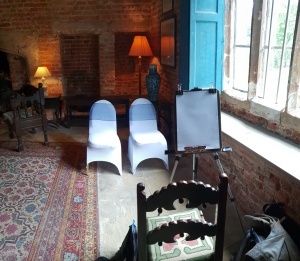 Quite a quaint venue and where I was set up you could feel the history oozing out of the walls. 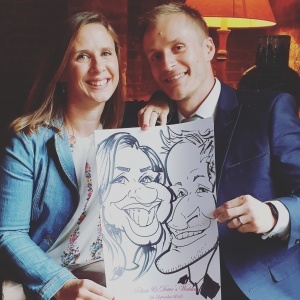 Just waiting for the ceremony to finish, the photo-shoot of them leaving the church with confetti in the air and then onto the drinks, snacks and CARICATURES!!! 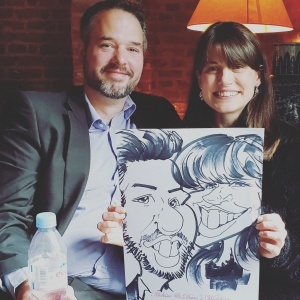 Below are some of the caricatures done on the day. Thank you to Melissa and Dave for allowing me to be apart of your special day. 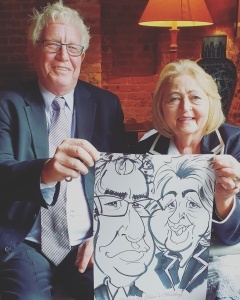 All the best for the future and I hope your caricature is framed in your home. 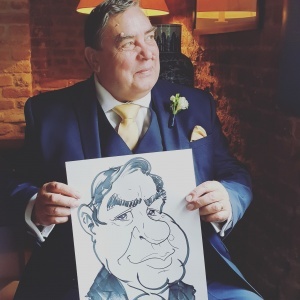 If you are looking for Wedding Entertainment please do drop me a line.